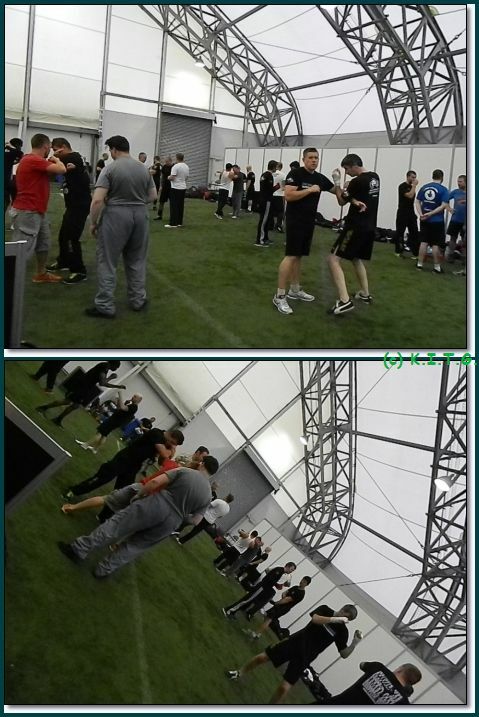 The weekend of the 13th and 14th saw the Strength & Combat show take place at London's Soccer Dome in Greenwich. 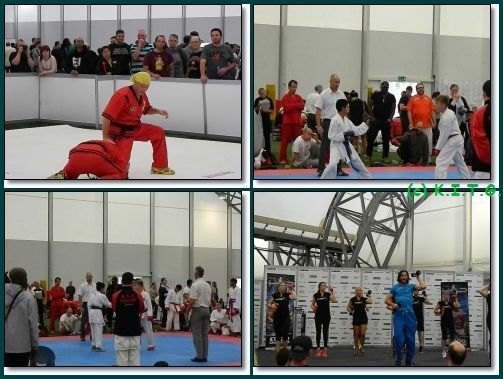 Now actual Martial art events in the UK are pretty thin on the ground, yes of course you might have seminar's taking place through out the year at various venues ,but many of these are tied into certain clubs ,that the general public or martial art fan may never hear about , let alone be able to attend. Now this show incorporates SENI ,the biannual London Martial arts show, now I have never attended SENI in the past but had heard that it was a good show to attend . Now having in the past visiting the Midlands based TMAS show ,which has now become the Martial Arts Expo ( for reasons I won't go into here) and have thought it a good show for most part , dependent on each year..
Now London Soccer Dome is a airy and bright venue ,though a bit smaller then I had originally thought , also the actual amount of varied Martial arts on display as far as key stage events was no where near as good as I expected and this was surprising , but I think the combination of weight lifting and other elements watered it down. Even the amount of varied stalls where quite shallow in their variety , many concentrating on protein shakes and supplements for the body builder. Not exciting at all , especially considering the entry price to the event. 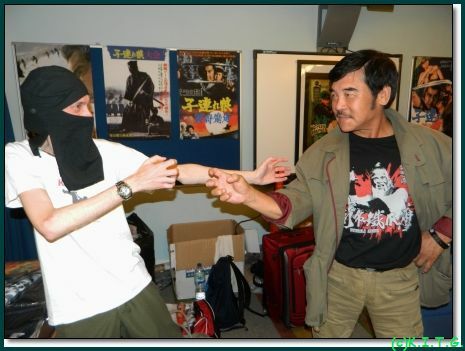 But lucky enough there is a saving grace to all the above and it's former 90's UK based Eastern Heroes , who ran many UK events with special guests , had their own Video label , releasing many great martial art films and also had a regular Magazine. 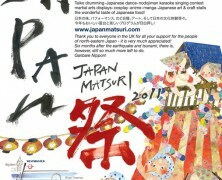 ..
See our feature on many of their events in our special feature, link at the bottom of the page. Now after more then fifteen years Eastern Heroes is back , Rick Baker and Toby Russell are back , and they used this show to officially re-launch by bringing over a star guest from the East and featuring another star guest home grown in the UK. So it is with great joy that I bring you this feature on the relaunch of Eastern Heroes and the visit to the UK by Korean super kicker and the Silver Fox himself , Master Hwang Jung Lee. Now Rick Baker and Toby Russell had a great spot at the show ,taking over the conference room where they had set up a projector to show film , a stall selling Magazines ,films,posters and more and also the place where us fans could get to meet and greet our idol Master Hwang Jung Lee ..
To top that they had a display of weapons from various Bruce Lee movies, all under glass and guarded by security . 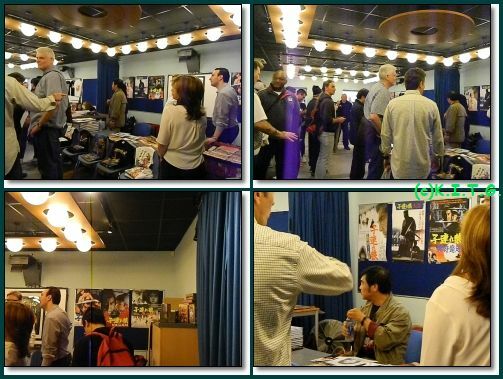 The hall ways to the conference room where decorated in posters of Bruce from various films and poses. It was pretty cool. 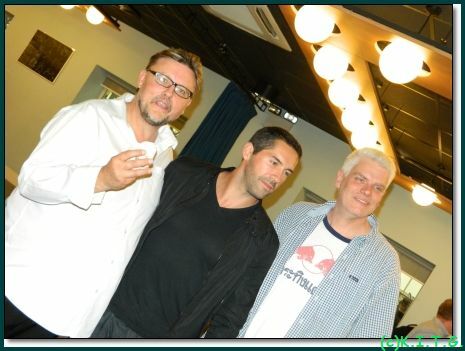 The event was also was good place for old friends to meet as many fans from the past turned up to support Eastern Heroes and it was also a special event for myself as I met up with two friends I first met in Germany in 2010 . 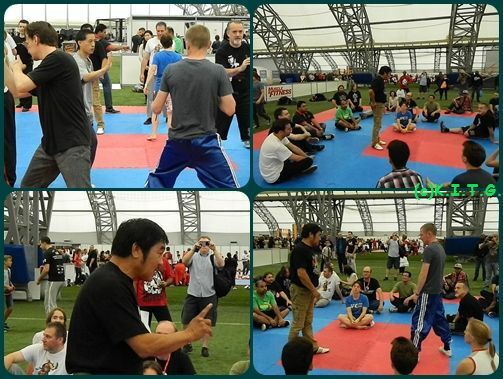 Now the event was a two day event ,but I was only able to attend the one day and chose the Sunday as it was the day Master Hwang Jung Lee was also doing a seminar , which I had to take part in and it was the only day that Home grown star Scott Adkins ( Ninja ,Undisputed,Elgringo) could attend. 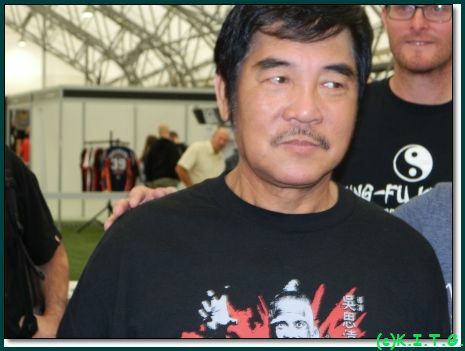 Getting their with enough time to before the seminar started , I was pleased to meet Master Hwang Jung Lee before the seminar and get a signed picture and a couple of Photos with the great man. He's such a down to earth person and even though his English is very limited he seemed to having a great time with the fans . Rick Baker was in his element once again which was good to see and brought a smile to my face. 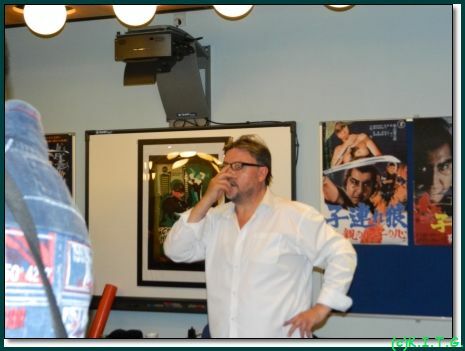 With classic old School films of Master Hwang Jung Lee playing on the projector and old friends meeting it really was a home coming event for many. 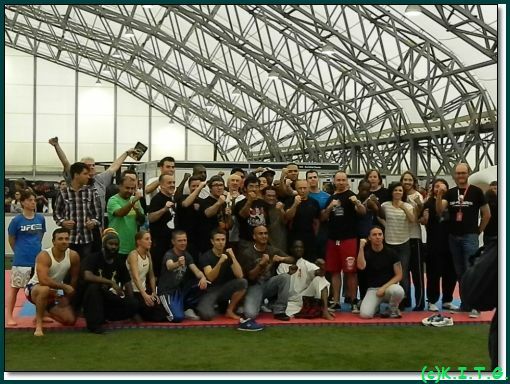 Of course it was nearing time for the seminar to take place and once all taking part where ready and Master Hwang was ready we went to the training area to take part in training under one of the greatest Living Taekwondo masters in the world.. 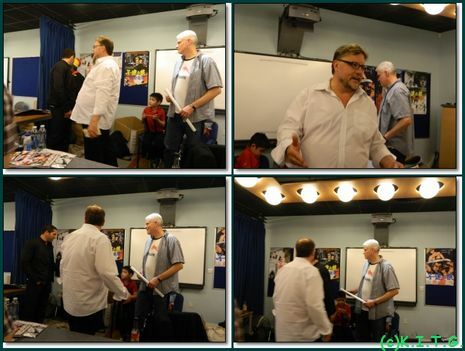 The seminar was quite busy with matt space taken up ( we could have used a double area) but we all managed ,and it was easier once we started partner training ,not everyone was trying not to hit each other at the same time . 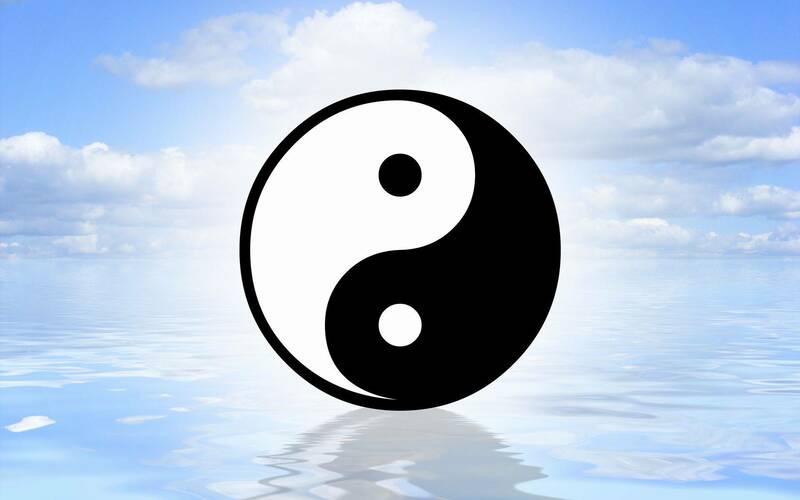 Master Lee's training regime took us through various kicks ,breaking each one down to optimize the best performance possible from the manoeuvre. 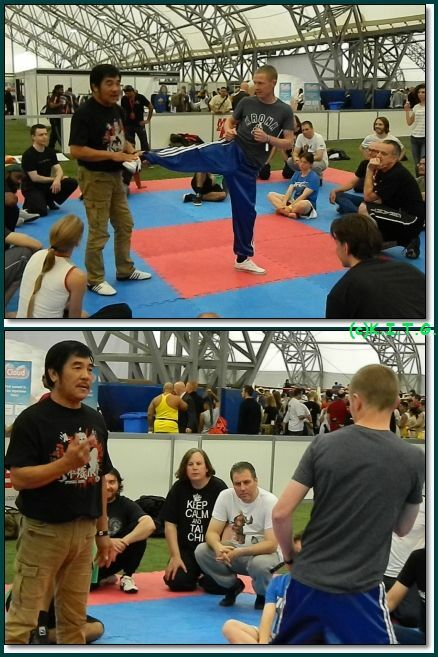 It's quite amazing that Master Lee in his combat jeans ,after sitting signing photo's all morning can pull of such perfect kicks straight from the off to the amazement of us trainees. Remember he is 70 years old . He did try and iterate that we should go for technique more then height , much of this was done through a interpreter, but I just wish the announcements speakers for the show floor would have not been so frequent and deafening at times. 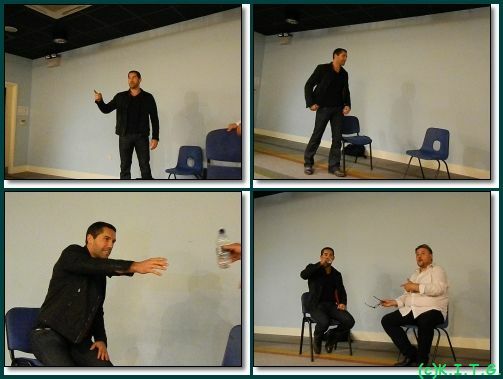 I was also lucky to have a friend not taking part in the seminar who took lots of pictures of it with my camera. , so a big thank you to Saj for his work on that . After wards it was a chance for another couple of pictures with Master Lee and a group photo , which I'm sure more people are in then where on the seminar. LOL. 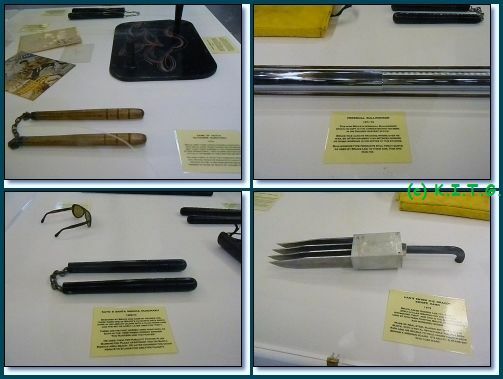 Before returning to the Eastern Heroes area in took a opportunity to scour the show floor , I saw some good demos of knife attack and throwing techniques. There was also a a karate ornamental going on another area ,but other then that the show floor was quite sparse in places. 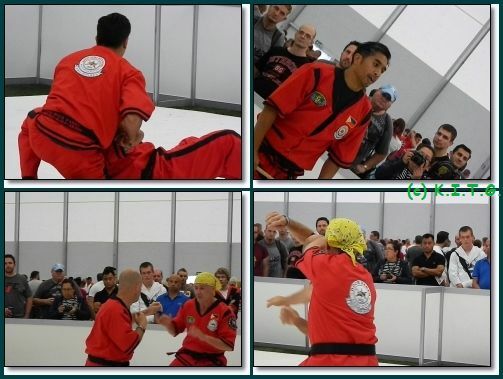 I know there was a some MMA stars on the Saturday ,but as I was not there I can not comment. Returning to the Eastern Heroes area after grabbing a cuppa cha and a Twix , got to get my TEA or I go crazy. .. 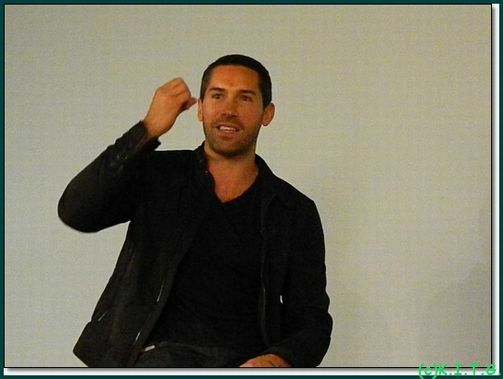 It was time for Scott Adkins to appear , Master Lee was back at the signing table being a gentlemen meeting the fans . Everyone was waiting for Scott to arrive ,because a shot with Scott and Master Hwang would have been cool , Unfortunately Scott was delayed in traffic , he was coming a long way ,as he was in Sheffield the previous day for a seminar..
With time ticking it was time for Master Lee to leave ,he was catching his plain back home. 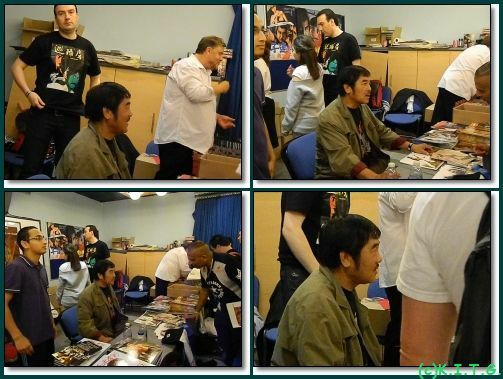 , with a last hurrah for Master Lee , everyone waited for Scott to arrive , we watched the beginning of a classic John Liu and Hwang Jung Lee film. .. The about three 0'clock area Scott had arrived, Rick put on a showcase he had prepared of Scott’s works to get the crowd wild , with him making a entrance as the show reel finished ..
Rick conducted a interview with Scott ,who he had not seen for some sixteen years , Scott used to frequent the Eastern Heroes shows in Nottingham. 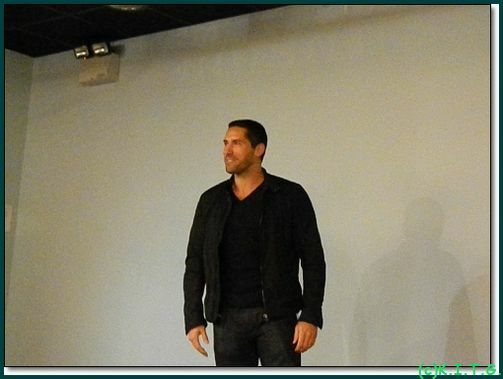 The interview was engaging and Scott took questions from the audience as well, talking about upcoming projects and his early years. Afterwards Scott was around for autograph signing and photos, I t was not long before the event was going to close , I chatted to various guests ,some friends from facebook ,meeting for the first time in person. One things for sure ,Eastern Heroes is back and we look forward to their next event . The Strength and Combat show may have been mediocre but Eastern Heroes made it great , they came ,they brought the stars , they entertained and it just goes to show after more then fifteen years the fan base is there ..
Below is a gallery of some of the show , but don't forget to visit our dedicated Hwang Jung Lee page for even more photo's of Master Hwang Jung Lee at the show. ..
singing off – Be Safe, Train Hard and most of all Enjoy Life.